The Anti Hero Lil Blackhero EMB Zip Hoodie in Black. 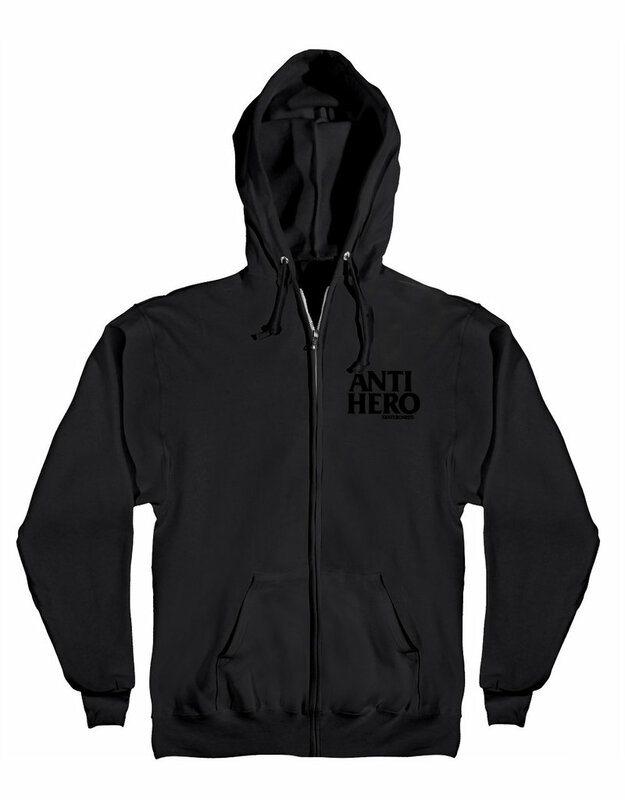 This is classic black zip hoodie with the EMB Anti Hero logo embroidered on the front breast and no logo on the back. Anti Hero Clothing Online Canada.